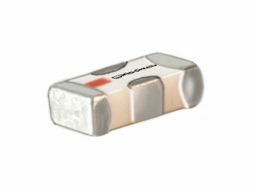 ZCDC10-K5R44W+ is a coaxial, ultra-wideband directional coupler with an operating frequency range from 0.5 to 40 GHz. This model provides 10 dB nominal coupling with +/-0.9 dB flatness over the full band. It can handle up to 15W RF input power and achieves low mainline loss (1.3 dB at 18 GHz, 2.1 dB at 40 GHz).